The smart cavo s wristbanddesigned for your various sports condition, no matter you are interested in cycling, hiking or yoga, you can use the customized H Band app, continue to accumulate the amount of exercise to complete your fitness record circle and loaded with a variety of functions, not only can help you stay alive, full of power, but also allows you to close ties with friends and relatives. Your sports data will be more useful and not loss for the main platform. 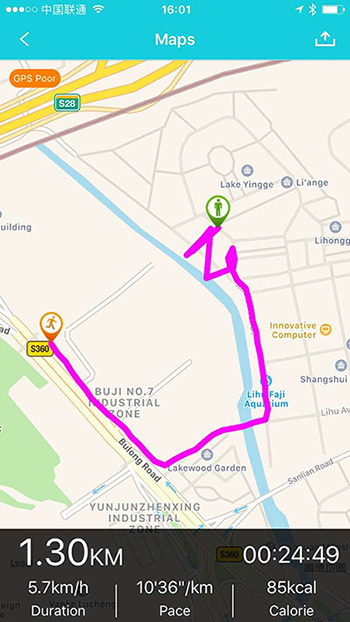 Not only can PK with friends from WeRun, but also monitor your health. like the shape of heart, circle, apple, ect. Using conveniently, it can be charged when you take it down and access to power. Don't worry power will not enough and data be lost. The 0.87 inch LED screen can display name, massage horizontally and vertically, you can choose one style as you like. Support message push, display contact list and message content. You will be more comfortable for that the host is only 19.5g, and the band made of TPU fit your wrist well. You can lift your hand to turn on the screen when you walk or stand and revolve hand when you sit.